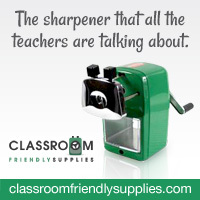 A Teacher without a Class: Mom Made Us Write This in The Summer: Giveaway!! Mom Made Us Write This in The Summer: Giveaway!! I always wanted to be a twin, and write a book about being a twin. Now that I have lived vicariously through Ali Maier's book Mom Made Us Write This in the Summer, I want the those things even more. This is a clever book is a nice addition to diary/journal genre. Ali Maier has found a niche that will have us wanting more journal entries by Max and Maggie. First, I like the format. It is set up as a journal, but not just any old journal, because it is one journal written by two creative children. They are great story tellers, illustrators, and commentators. Their journal entries focus on a topic and each twin writes and illustrates one entry on the same topic. They take turns choosing the topic, and of course going first. Not only to they write their own entry, but they become commentators on each other's entries as well. It becomes a "he said, she said" journal. Second, I love the illustrations. The illustrations for the entry on babysitting demonstrates the clever use of illustrations to enhance the writing. There are very funny illustrations of doctors with giant needles, scared twins, and of course some of their summer escapades. They make to journal writing fun! Third, I liked this book because my fourth grader and sixth grader had to read the book at the same time. I left it on the living room chair, and before I knew it there were two additional bookmarks in the book. When two boys catch onto a book that quickly, you know it is a keeper. Fourth, I saw that this book could be used as a mentor text. I would love to have students write on the same topic in the same journal. What a great way to foster communication. Or as Max and Maggie's mother believes that anything can be solved through reading and writing. However, I do not believe it is an actual representation of how a fourth grade journal writing. There are no spelling errors, the entries are very long, and it is too polished to be a journal entry. (Not that I want to read a book that isn't polished!) This might be a mentor text of how we could "publish" our journal entries as we go through the process of writing. Finally, I like that these children are really good children. They are respectful of their parents. Even though they don't want to write in the journal, and they count down every entry, they still do it, and learn from it. They also truly love each other although in a brotherly-sisterly sort of way. It also gives a view of what it is like to be a twin. Unlike other books, these are good kids, not perfect, but good. It is a nice addition to "children" created literature that is in print. I highly recommend this book to others. I think I would give it a 4 out of 5 stars, but my boys would each give it a 5 out of 5. So in this house hold it averages to a 4.7 stars. As a way to show my appreciation and celebrate my almost 500 likes on Facebook, I will give away one of these books! To enter, simply comment on this page. I'll be in touch with the winner! This book sounds like one I would definitely use in class. Thanks for the opportunity. 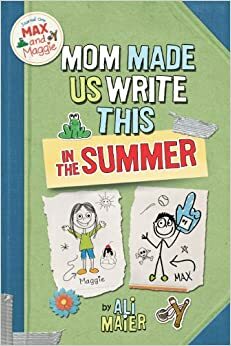 Mom Made Us Write This In The Summer is a wonderful journal style book that focuses on a brother and a sister who happened to be twins. Mostly assignment writing company UK also sharing this book reviews on website because of getting more readers in this books.